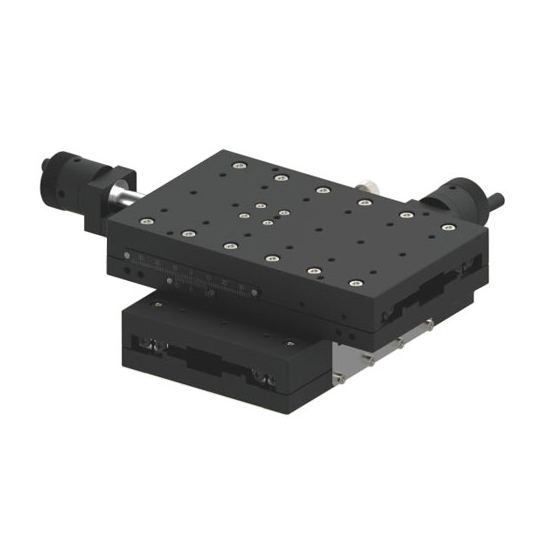 25mm travel range with 0.001mm resolution. 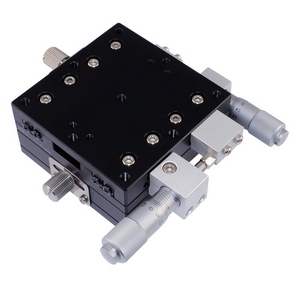 Easy stack to xyz, xyzθ assembly. 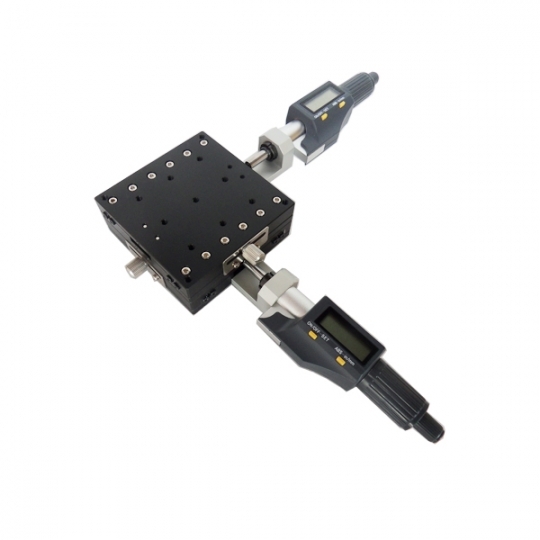 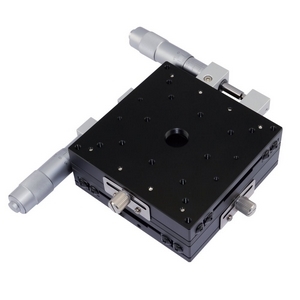 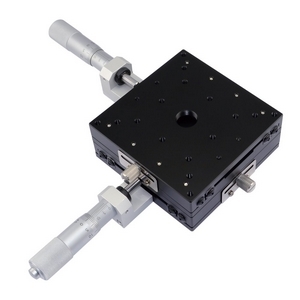 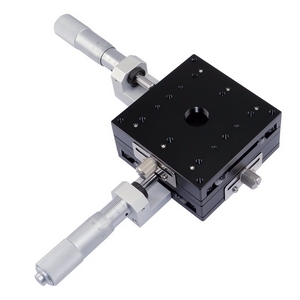 The manual xy linear stage uses crossed roller guide which ensures the high precision and smooth of motion. 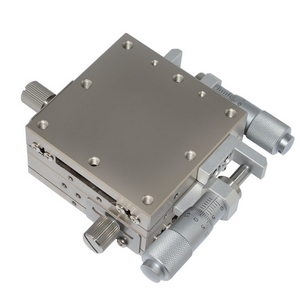 The main material of the manual xy translation stage is aluminum alloy, so the weight of manual xy stage is very light and the stage can be easily built in other equipment. 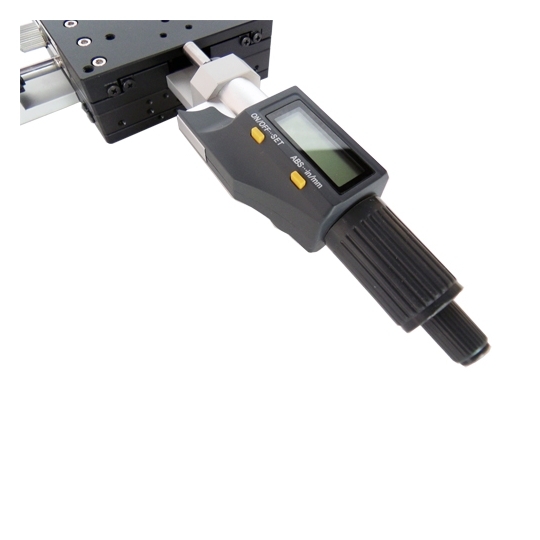 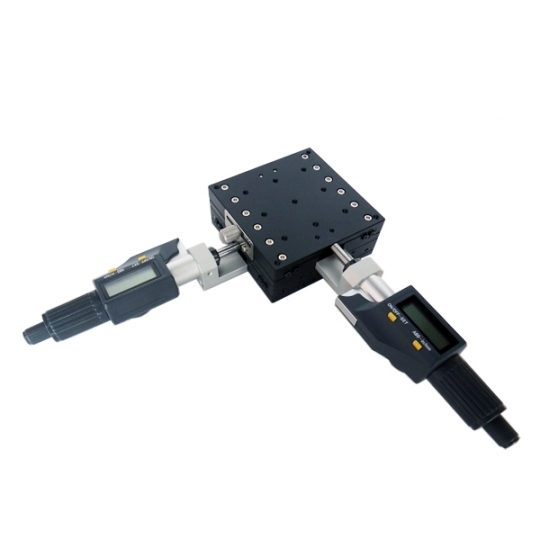 This translation stage uses high quality digital micrometer with 0.001mm resolution. 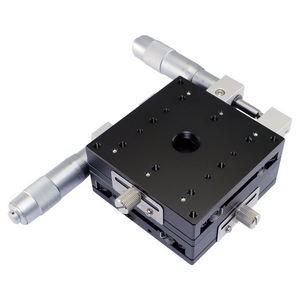 We have two versions for this translation stage with different drive positions. 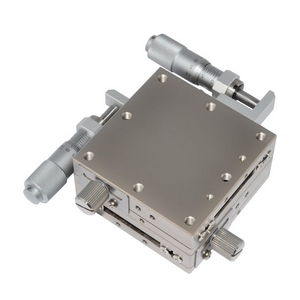 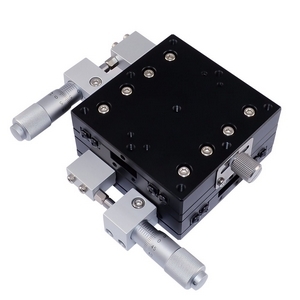 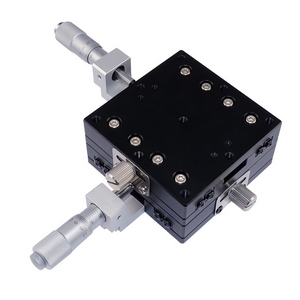 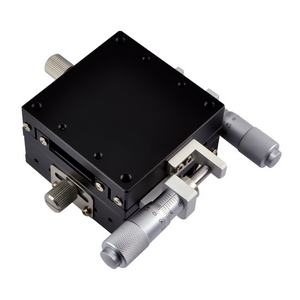 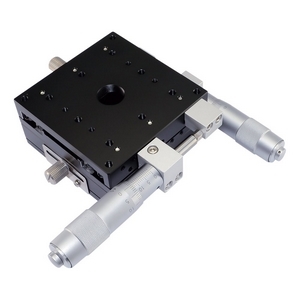 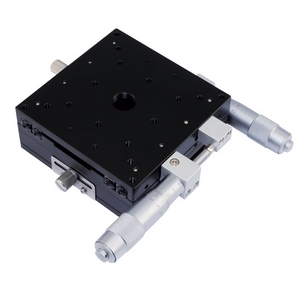 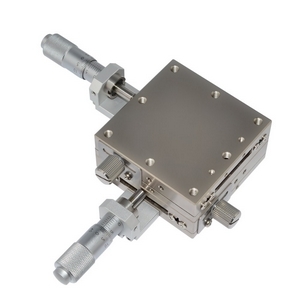 For rotational movement, this xy stage is compatible with MAR-90L and MAR-90L-P Rotation Stages.